We probably could do a better job selling the importance of that concept outside of the GIS world. And the term that rings the right bells is cost avoidance. 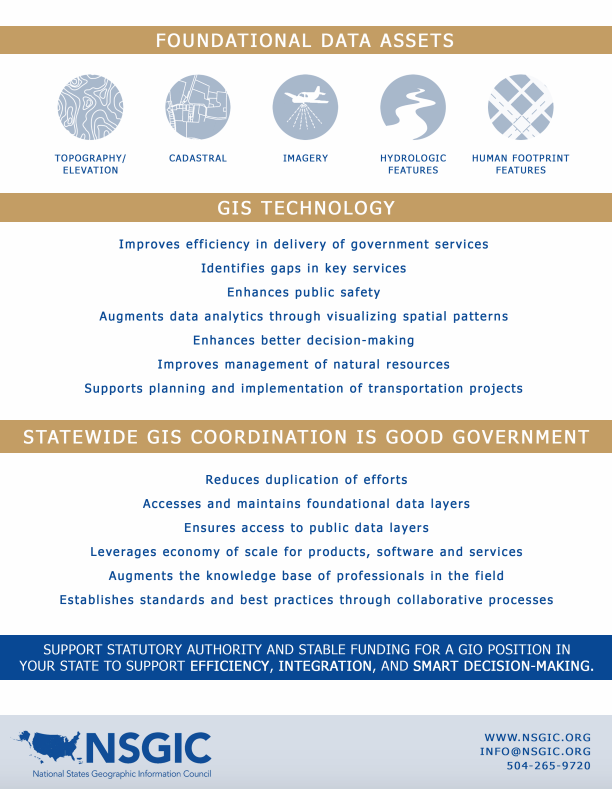 GIS coordination saves money, and lots of it, by preventing duplication of efforts. 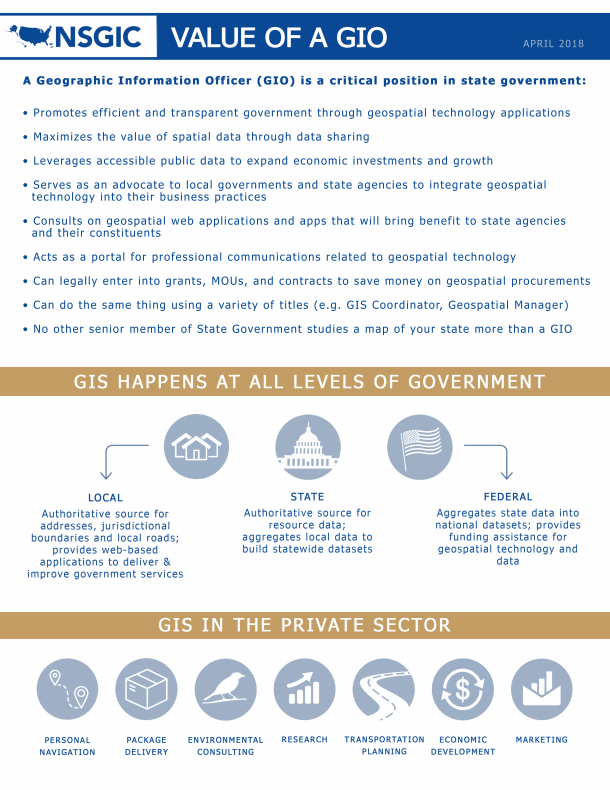 In the absence of GIS coordination, everyone who needs the foundational data would either build it themselves or buy it from a commercial source. That could mean the quality of the data might be inferior and it would certainly be more costly. The return on investment for collaborative GIS is exponential. That one is the biggie, but there are also lots of other ways that a GIO adds value. NSGIC has produced a brief about the Value of a GIO. Read it, take it, use it. Coordination and information sharing is the rising tide that lifts all boats. GIS Operation Resources and Guides section of the NSGIC Library.